The newly redesigned 2013 Ford Taurus has arrived at Grapevine Ford. And we're not the only ones to have recognized it! Ford Taurus shoppers in Dallas can take peace of mind in knowing that it's won several awards and ranks favorably in the full-size sedan category by prominent auto review websites like Edmunds.com and U.S. News and World Report. In fact, U.S. News just named the 2013 Ford Taurus to its esteemed Best Cars for the Money Award list as the top Large Car for the Money. They also named it the number-two affordable large car on the market thanks to its performance, safety ratings, reliability and interior. The praise doesn't end there: WardsAuto World, for the third year in a row, named the EcoBoost engine to its 10 Best Engines list. While it's the third year the EcoBoost received honors, it's a first for the 2013 Ford Taurus's 2.0-liter turbocharged EcoBoost engine. The awards and accolades are absolutely justified in light of all of the Taurus's revamped pieces. From hood to tailpipe it's packed with loads of new features for Dallas Ford Taurus drivers. For more information, specs, engine info and more, read the 2013 Ford Taurus review below. By examining the 2013 Ford Taurus against the 2013 Buick LaCrosse, Toyota Avalon, Volkswagen Passat, Hyundai Genesis and the Chrysler 300, and you can catch that the Taurus out does those autos in numerous zones. Catch a glimpse of the hightlights below. Our Ford dealership in Grapevine is based near a long list of neighboring cities! So, you're a quick trek away from having legitimate OEM parts and work from Ford technicians! We also provide a free warranty on repairs! Grapevine Ford's auto service whizzes will help keep your Ford Taurus in excellent shape. We can deal with a task as simple as an oil change, or handle hard to do car service and repairs like Ford timing belt replacements, transmission rebuilds, and strut and shock repairs. From the incomplex to the complex, Grapevine Ford deals with it all and offers reasonable prices, one of a kind service and aces mechanics. Get astounding savings - before you head over to our repair center, bring a coupon. Click the link at bottom! To learn more about the 2013 Ford Taurus for Dallas-area shoppers, contact Grapevine Ford today! Our reps know this car from front to back and can help you build the car of your dreams. We'll help you select a trim level based on your budget, and then recommend add-ons to make it your own! Whether you're interested in the base model Taurus SE or the top-of-the-line, performance-oriented Taurus SHO, we'll help you get from start to finish without any of the hassle. 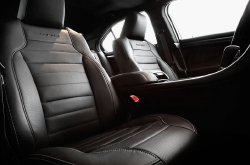 If you have any questions about what you've just read, or you'd like to learn more about the 2013 Ford Taurus from Grapevine Ford, simply fill out the inquiry form on the right-hand side of this page. One of our helpful, friendly representatives will contact you with all of the answers you're looking for. 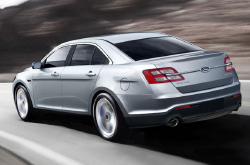 Imagine yourself driving a stylish, fuel efficient Ford Taurus in Dallas and then contact us today!